St. Mary's County is Maryland's oldest county. 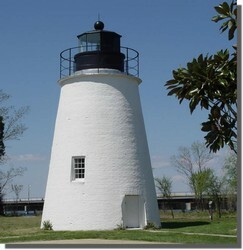 It is bordered by the Patuxent River, the Potomac River and the Chesapeake Bay. Much of the area's recreational activities are tied into these bodies of water. Being in St. Mary's County, MD can be like a visit to the past. Today, Maryland’s oldest county blends a vibrant economy – it’s the states fastest growing region in terms of technology related jobs – with its rural past, giving the area a unique character as well as a high quality of life. History and nature, traditional life ways and fast paced recreation and great seafood await you in St. Mary’s County. I have extensive knowledge of all areas of St. Mary's County. I was born and raised here so I am truly your hometown expert. If you wan to sell your home or buy a home, you've definitely come to the right place! To better assist you for homes for sale in St. Mary's County, when clicking on a search link below, you will be redirected to our sister site www.MarylandHomesandLoans.com for an in-depth search of all homes for sale in St. Mary's County, MD. This will open in a new window.